Wow. 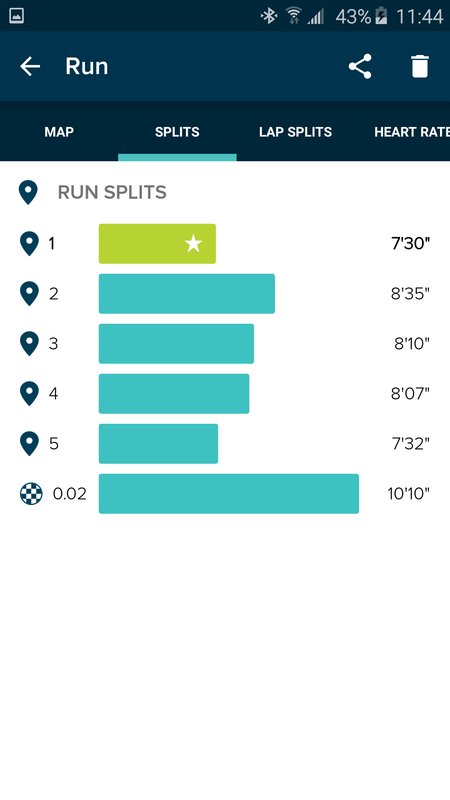 48 hours ago I was feeling down because I was struggling with running and my usual pace. I woke up yesterday not feeling any different than all week. I, once again, planned a full weekend with little down time. 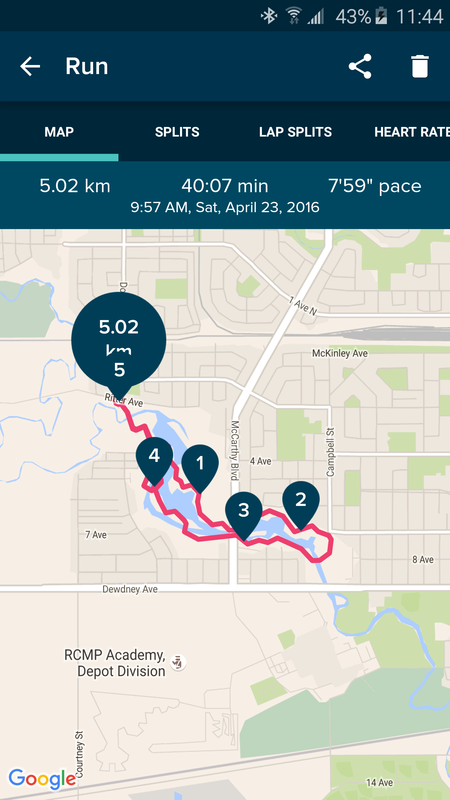 I planned a 5k fun run with my run/walk club – a club I started at school in March. We were meeting at 9:45 so another colleague and I had to get out there at 8am to walk the course and get the signs up. So that meant walking the 5k before even running it. I’m suppose to be tapering for my half marathon on May 1st… oh well. I said I would do it. Of course, good old Saskatchewan ruined a sunny day with 55km winds gusting up to 70 km. This made setting up signs slightly more challenging and also the walk to set up was much more chilly. We got it done and made it back to meeting point in time to drive to a gas station for bathroom break before the actual event. 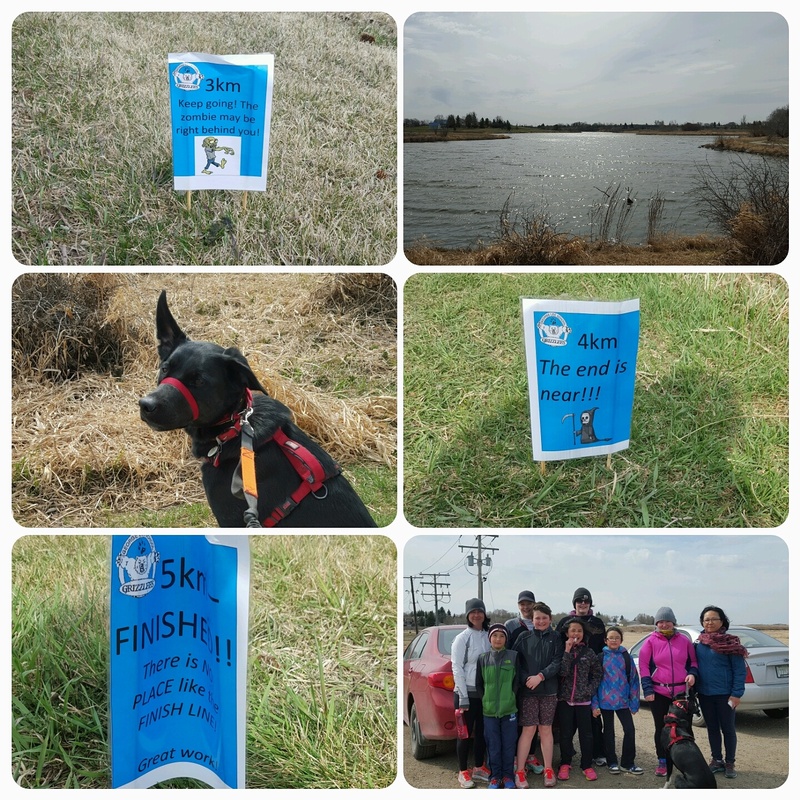 While I was walking the course, I was going back and forth about just walking it again, forcing myself to be last, and collecting signs as we went. Or to run it and give it my best. Partially because I didn’t want overdo it but also because I didn’t want my students to see me at my worst. I also had brought my canine running partner with me and she hadn’t been feeling 100% after a bladder infection and strong meds for it. I was unsure if she’d want to run after walking the course with us already. But when when the 4 kids showed up along with 3 moms who also decided to participate, I decided to run too. 1 km. 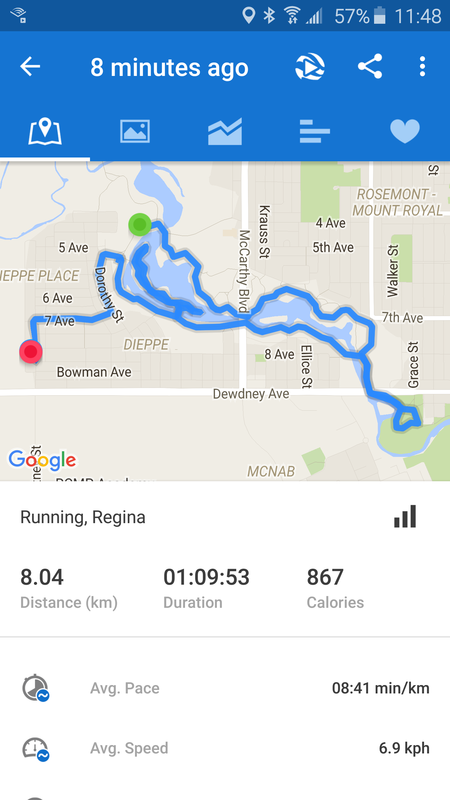 .. 7:30 a km pace… whhaaattt? And I continued to run decent splits all the way through even though I had to stop once to fix a sign and take one extra 100m walk break to give my dog a rest. I felt great and running just made sense again. My body was agreeing with me and I was alive! My time showed it…I was back where I had worked so hard to get to. I don’t know why. Maybe a group run is what I needed. Maybe I just had a bad week of running. Maybe I was overdoing it. But for whatever reason, I was back at it. Today was my final long run before my half marathon next week. I had planned 12k but after yesterday, I knew that would be overkill. So Ginny and I ran an easy 8k. And I still felt great. It was windy, rainy and cold but we pushed through it. Ginny even had her first swim of this spring/summer. She begged…I sure wasn’t going in but who am I to judge a water loving black lab who hasn’t swam since September? She never complained about the cold, or choppy water She kept diving in several times to catch a stick that I threw for her. 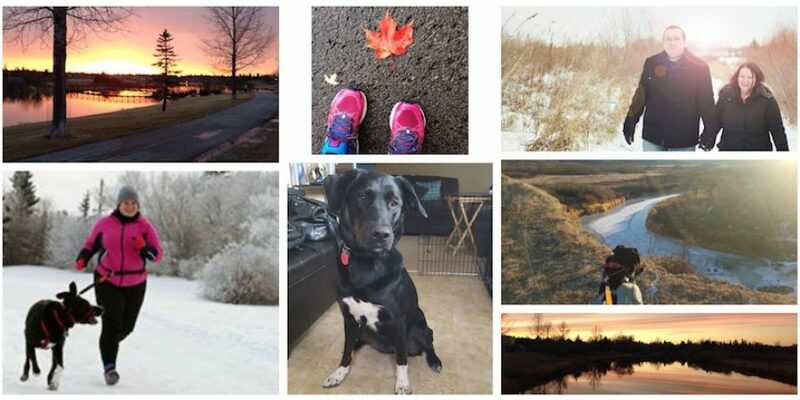 And just like my lab keeps diving into cold water with the sticks not going where I wanted them to go because of the crazy wind…I am reminded of how running also requires you to keep lacing those shoes and getting out there even if the elements and results aren’t what you expected or wanted. It’s the moment of embracing it all and what you make of it that really counts. Next > Superwoman…hear me roar!